Singapore Cardfight! Vanguard Online: BT08 Blue Storm Armada Preorder!!! BT08 Blue Storm Armada Preorder!!! Join the Warriors of the Seas, Aquaforce, the Spirits of Justice, the Dimensional Robos, Knights of the wild forest, the Musketeers, and the ancients predators of Tachikaze as they storm into the battlefield of planet Cray! So don't wait any longer and Preorder BT08 with us now! Each BT08 booster box cost just $67!! Send us your orders to sgvanguardonline@gmail.com! 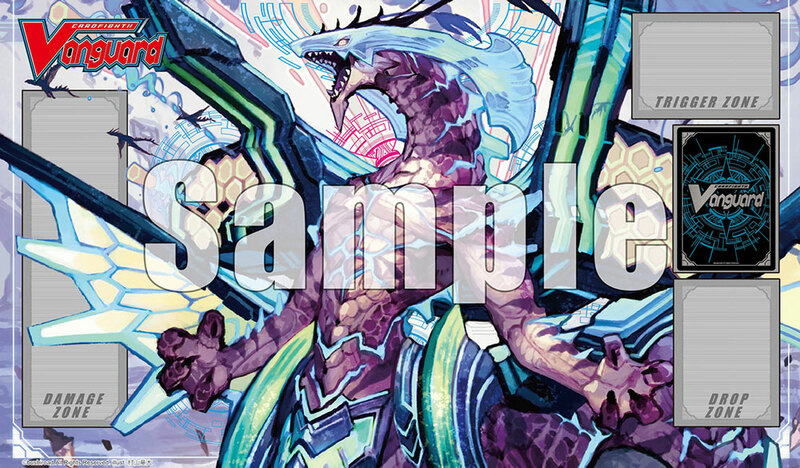 For every 4 Booster Boxes of BT08 you order, you will get an exclusive limited edition Blue Storm Dragon, Maelstrom Playmat for free!!! While Stocks last! So any tournament for the 21st? I have given up on the JPN vanguard cardfight community. Players always got the effect wrong and they curse when I use my android phone to double confirm skill everytime I see new cards I am unfamiliarized with. I think I will switch to english community. Do your english tournament gives free promo pack? If not, do you know of any english tournament in singapore that offer english promo pack upon participating? Hi, we do not give promos as we are not a brick and motar shop thus we are unable to get promo support from bushiroad as of now.